Kelly is the Campaign Director for Ready.Save.Grow., the U.S. Treasury Department’s effort to inform the public about how it’s possible to start saving easily with U.S. savings bonds. This makes buying U.S. savings bonds quick and easy, and can make them part of your overall savings strategy without too much trouble at all. What are Your Savings Bonds Options? Traditional EE Bond: The Series EE bond is what many of us are familiar with. As of this writing, Kelly points out that the rate of return on the Series EE bond is 0.2%. An inflation-adjusted bond can help you avoid losses due to inflation, on top of protecting your capital. The U.S. Treasury no longer issues paper bonds, so you have to manage your account electronically. It’s also possible to convert paper savings bonds you received in the past to electronic bonds to make it easier to manage all of you savings bonds. 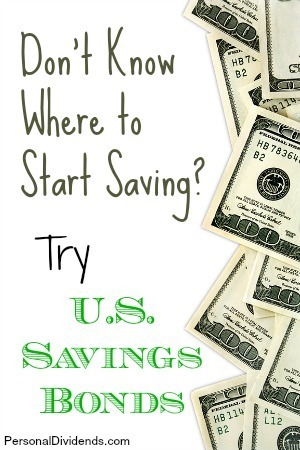 With the ability to start saving with as little as $25, and with the ability to set up the automatic savings plan, you really can get started with a good savings plan when you use U.S. savings bonds. I coincidentally just got an email today from a brother letting me (and others) know that my niece (his daughter) had, at age 21, just cashed in all the savings bonds relatives had given her over the years. Some had doubled in value. She’s heading to USC’s graduate screenwriting program in the fall, and the money will help her limit debt. Savings bonds are boring. I like that. If you like money excitement, go to Las Vegas once a year. I actually have a TreasuryDirect.gov account from years ago. I used to invest in savings bonds on a regular basis but had to cash them in for an unexpected expense. I think they allow you to purchase $10,000 worth of them per adult in your household per year. They just need to each have separate accounts or it is capped at 10k for the one account.